You see these everywhere on social media. I am a fan of quotes now if they are meaningful and serve a purpose. Notice how I said ‘now’ – I wasn’t always a fan of them when I started PTing, I looked at them and said ‘these aren’t relevant to me’ and to be honest, they just p#*sed me off. But they do have a place, depending on your situation and what you are looking for on social media. 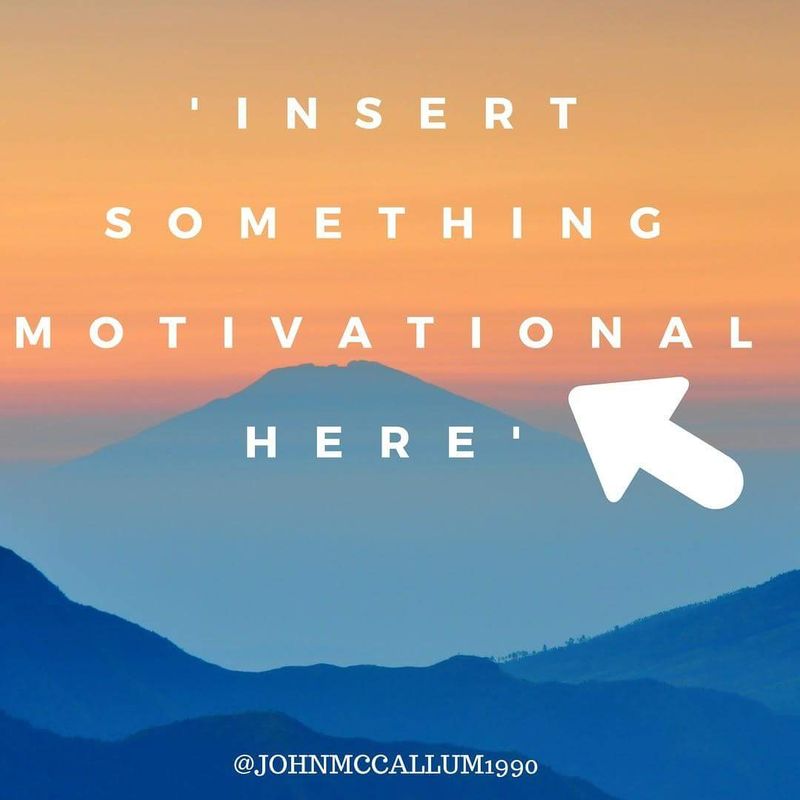 Are these quotes really motivational? It completely depends on your own situation. If you are in a positive frame of mind and looking to be inspired, then of course they can be. If you are in a similar situation or mindset as I was when I began PTing, where I thought everyone was against me, then they probably won’t be motivational and may instead be likely to trigger you. If you do like these motivational quotes make sure you find the right person or page that creates the right ones for you. Use your imagination for my one above and please don’t take them 100% seriously all the time. Feel too insecure to go to the gym because you aren’t sure what you are doing? 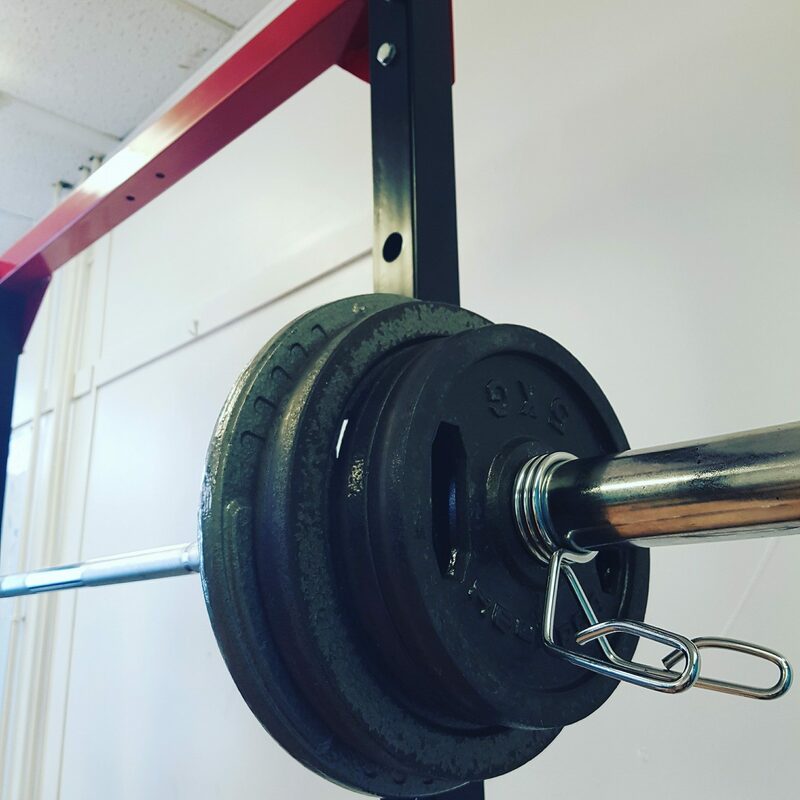 Thinking you might not be able to lift the weight or even undo the lock… Yep been there! ✔ That picture is of me in 2009 loving life. 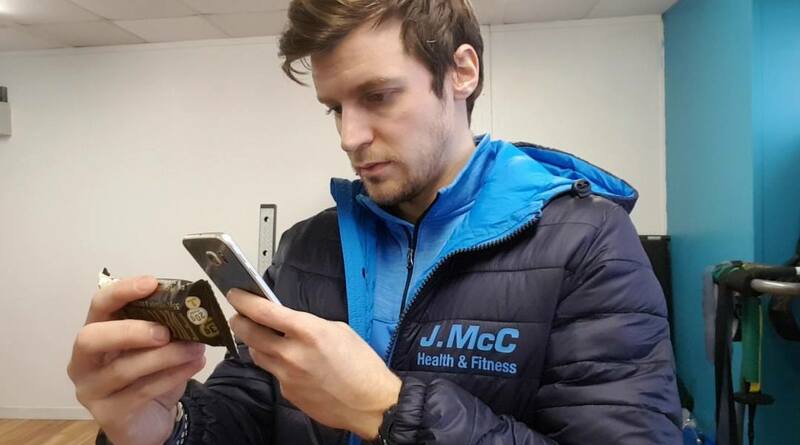 In 2016 I stressed out big time with J.McC Health & Fitness trying to fit in clients anytime they wanted to train. I was serving them but I wasn’t doing anything for myself. I reduced my training and was eating s$%t food. In 2017 I completed my own transformation. Are my pictures too extreme for some people? Yep they probably are, but at the time that’s what I wanted to do. If I wanted to get people lean then I needed to show then that I could do it and more. What’s my point? We all start from different places but no matter what you can get stronger, healthier and fitter if you are willing to put the effort in. Finally, don’t be afraid to make mistakes. 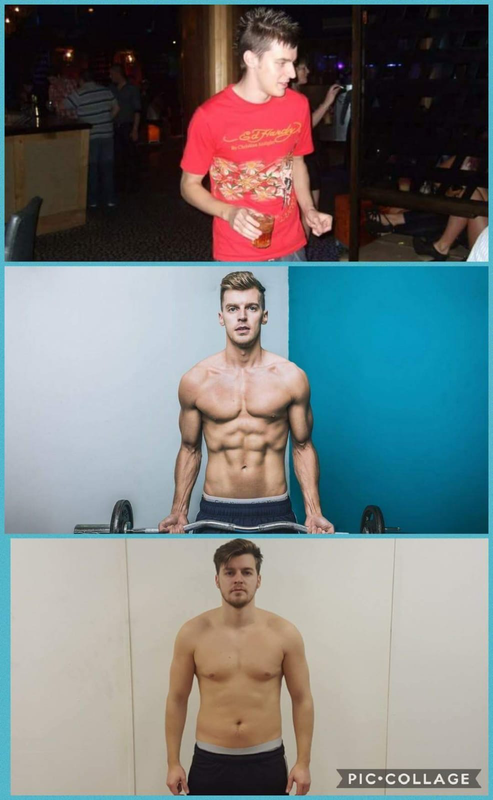 I’ve made so many in my own fitness journey. These mistakes that I’ve made in the past make my business more relatable to people than any information I get from books. 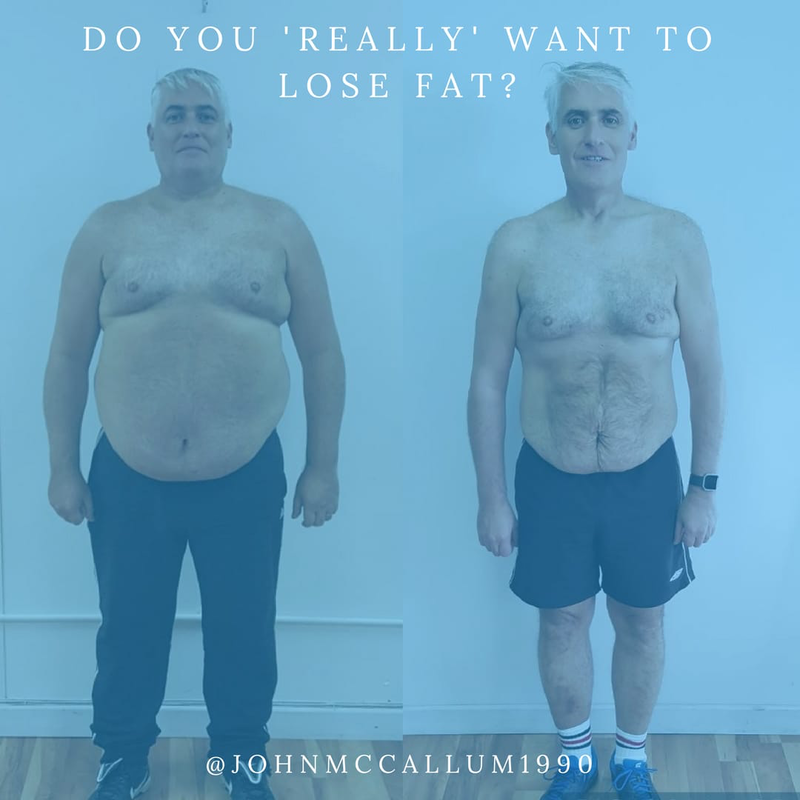 Do you ‘REALLY’ want to lose fat? Lots of people say they want to lose fat but some don’t really understand what it requires. The majority of us personal trainers try to accommodate clients with enjoyable and exciting dietary information and guidance, more so now than ever before. Rice, chicken and broccoli isn’t the top meal we offer clients these days (although nothing wrong with it). Saying that, just because there is more information about nutrition and more variety in diets, it doesn’t mean that you can half a#$ it. If you do, then you can expect half a#$ results. You still need to commit to the programme you are following and adhere to it. 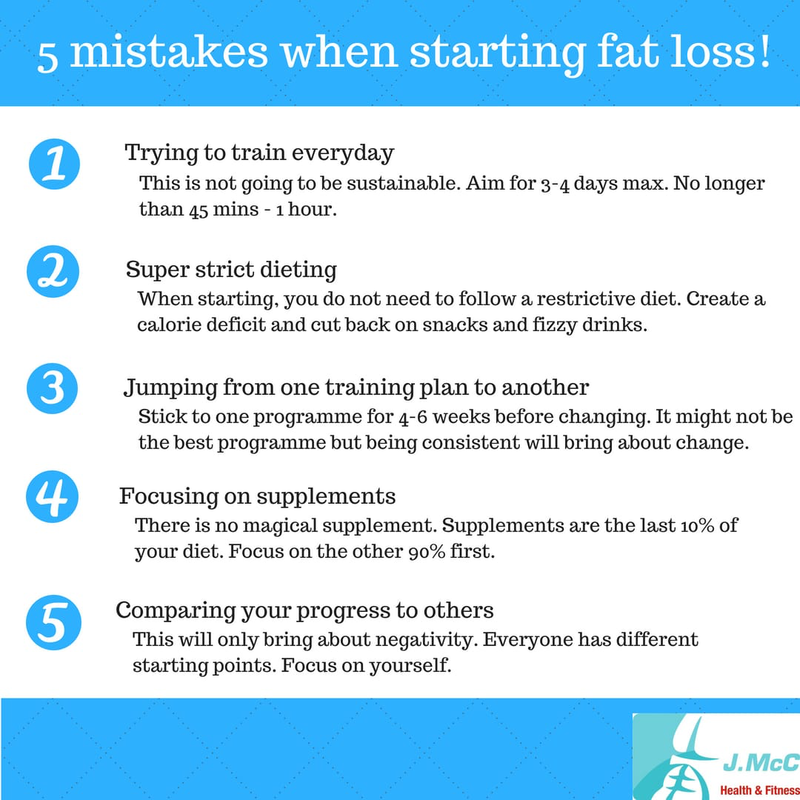 You should expect there to be difficult times during your fat loss journey. You will have to give up certain foods you enjoy and reduce others. You will have to try new foods and break bad habits while creating new ones. Don’t be scared of change! No one in the world can make you lose fat if you don’t want to. It’s your choice, your health, your life!! 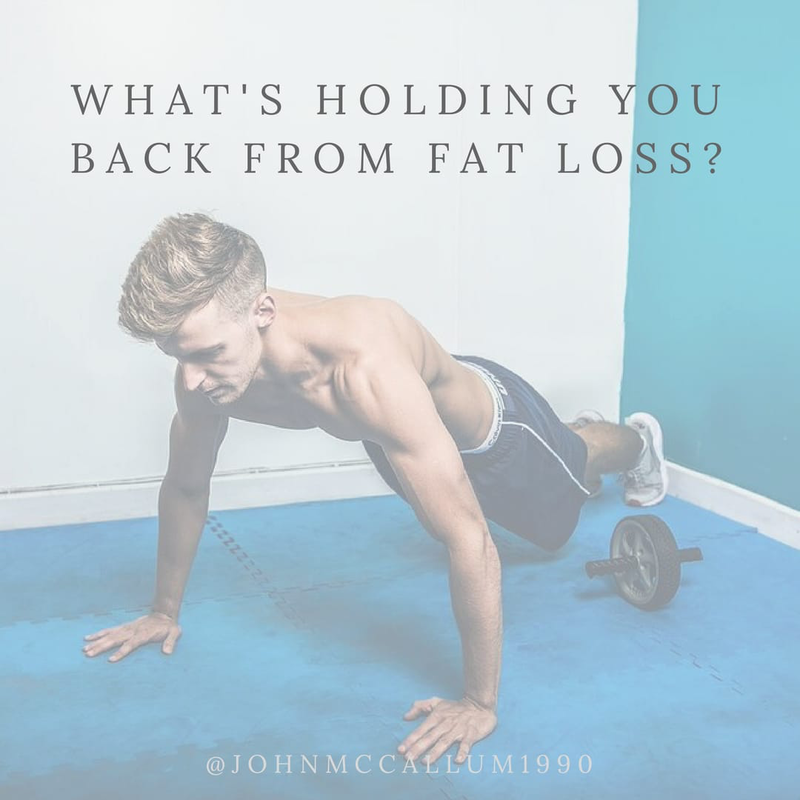 What holds you back from fat loss? 1) Environment – If the house is full of junk food then you are more likely to give into temptation. Likewise, if you work in an office, Friday might be the day for ordering in takeaway – this can be challenging. Solutions: Create a better environment. This could be throwing out all junk food or eating with colleagues who are also on a diet. Word of warning though, not everyone who is on a ‘diet’ will be as committed as you, so be wary. 2) Friends / Family – This is a tricky one to tell people. Not all people close to you will have your best interests at heart. If your friends are always eating out, you are more likely to. The mentality of ‘just have a wee bit’ really triggers me. Solutions: Tell the people around you how important the goal is to you. Distance yourself from negative people and surround yourself with people more like minded and supportive. 3) Lack of Confidence- A lot of people lack confidence and are scared of getting judged. The truth is you will get judged no matter what you do. Health is the most important thing in life, you have nothing without it. Solutions: Create really small goals to help build confidence. Read self help books. Get a professional to help you i.e. personal trainer or try to start training with a friend. What an amazing/intense weekend! You come away with so much information from these seminars, it can be very overwhelming. This year so far has been intense, I am a numbers guy and I constantly do analytics on all aspects of my business. I’m ahead of schedule on a number of areas but just because things are going better than expected doesn’t mean I can sit back and relax. It was great to be able to see that a number of things discussed during the 2 days are inline with what I do but I have a huge amount of work to do to continue to improve my service. 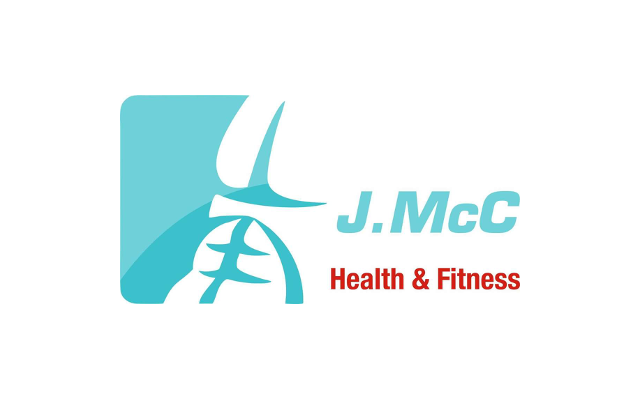 I will be reviewing and improving every aspect of my service starting from first contact with J.McC right through to the final product. If anyone is even considering going to these seminars, just book it. It is worth ever penny and more. Thanks to the team at M10 for everything. 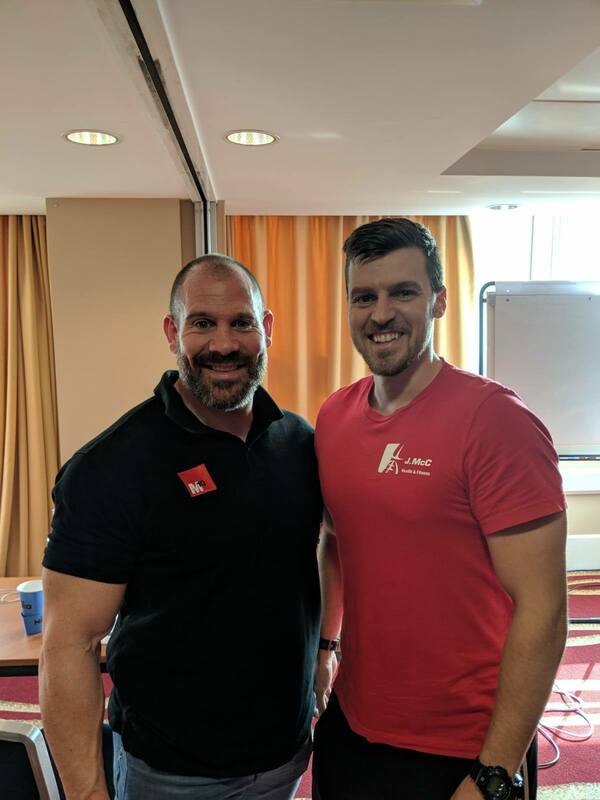 Plus Mark Coles is a complete gentleman, making sure to shake everyone’s hand at the beginning of the seminar just shows the stature of the man. Class act! Weekend Warrior Mode – what is it? This is when you eat really well during the week, hitting calories and macro-nutrients. Then, the weekend comes and you slack on your tracking of calories and think you can eat what you want because you ate well during the week. I know this is going against a very popular belief but here I go. Calories STILL count at the weekend! You can completely undo all your effort put in through the week with alcohol and additional snacks that you are not tracking. You might get away with it at the beginning of some diets, but it’s creating a potential pitfall down the line and the wrong mindset. As you are aware I am very much in favour of flexible dieting but it has it’s downfalls like all diets, you need to keep your accountability over the weekend too. 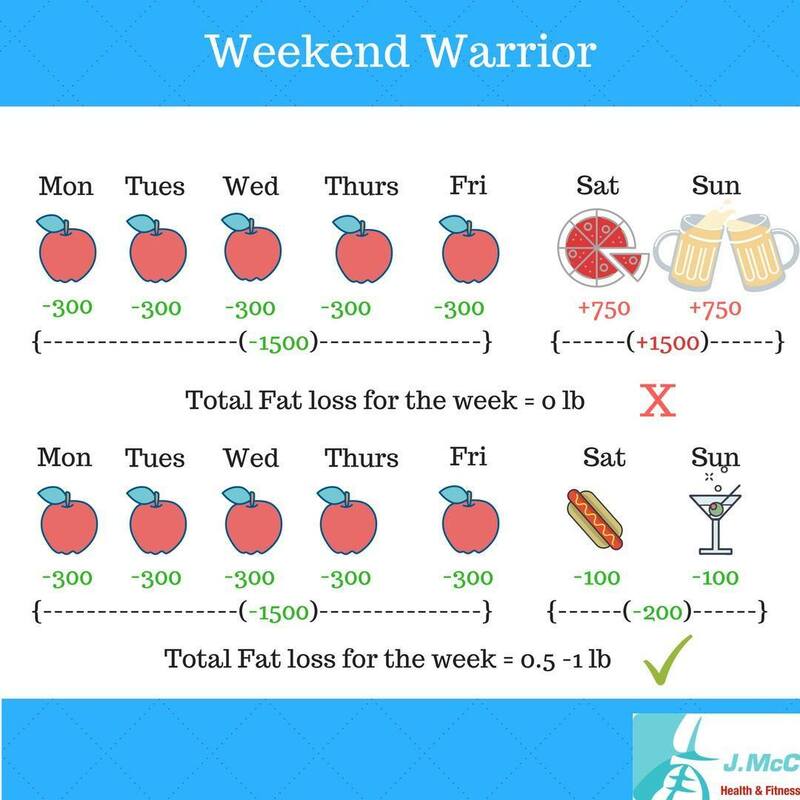 The weekend warrior mode will slow down progress or will hault it completely as you fall out of a calorie deficit. You could plan for a smaller deficit over the weekend, which is fine as weight loss can still occur. Hopefully the diagram below is helpful. P.S. If you think going over your calories by 750 is an exaggeration, just think of a few beers and a few slices of pizza. This isn’t including the damage to the macronutrients. Progress is key! Whether it be in business terms or personal terms. Sometimes we get caught up in the next big thing or the next goal and we forget to reflect on the past successes that have been made. This week has been an amazing week! One of the busiest weeks I have ever had since I started and the feedback from clients has been great. Plus I have been knee deep on a side project that I want to have up and running by 2019! 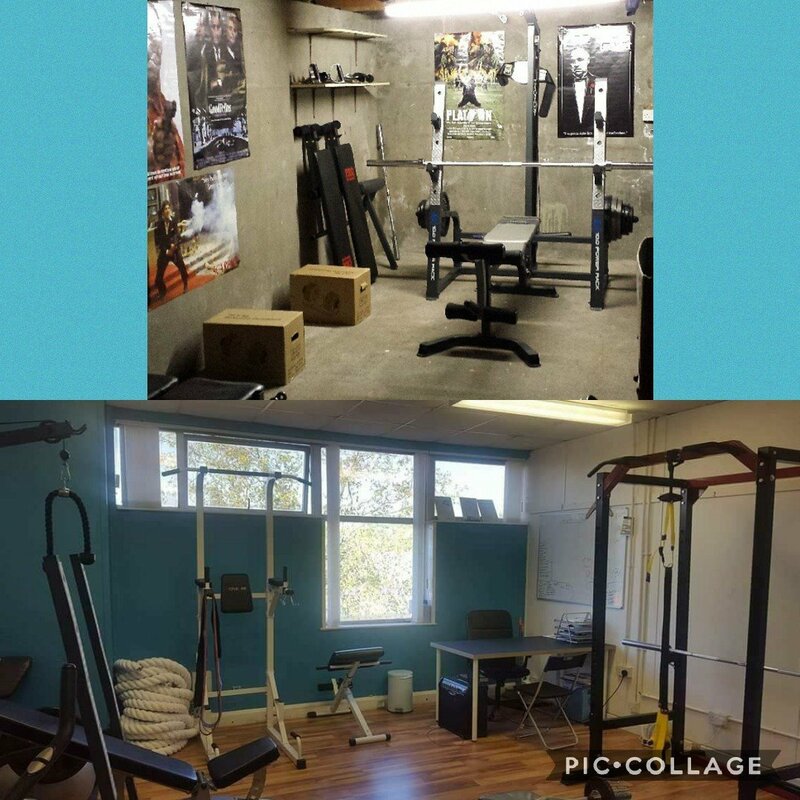 The picture above is where I trained with a few mates and did a few PT sessions for friends on the side. Back then I didn’t know how much effort it took to be a personal trainer or what opportunities it could offer. I was only doing it on the side because I thought I wanted to be a P.E. teacher but it didn’t work out. I can now honestly say that I’m glad it didn’t work out, I love this job! Sunday is a great day to reflect on that busy week you have had and celebrate your success! I have made steady progress the last 2 and a half years but I am still nowhere near where I want to be. 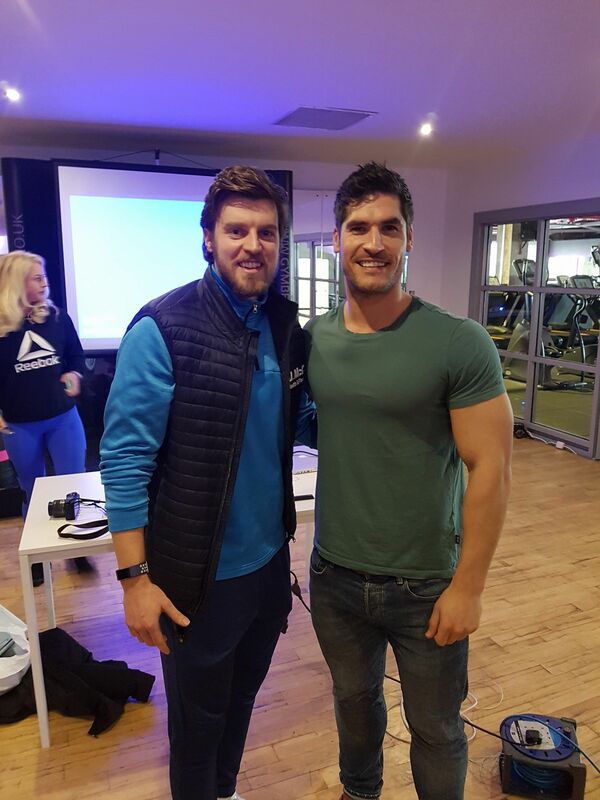 Great day at the TrainerMind seminar. The knowledge you gain from these seminars is immense. I have followed Jamie Alderton’s content for a number of years, the mixture between humour and no holds bar information is a skill in itself. Looking forward to trying new tips in the near future. 1) Just like any session you should be going in with a plan of action (exercises, reps/sets & weights). I would suggest you have alternatives incase the machine you need is taken. 2) Aim to make the most out of your training by performing exercises with the biggest impact i.e. compound movements. 3) Modify the workout as much as required. One of my favourite ways to do this is to superset exercises. 4) Get the headphones on! You don’t need to have a conversation with everyone. Go in with tunnel vision and get the job done. If you want to avoid conversations the bigger the headphones the better! 5) If you have a choice between going in the morning or evening after work, go in the morning. The gym won’t be as busy and you will be more likely to stick with the plan. So try these tips the next time you’re in a rush. Bonus tips: Just because your time is cut short doesn’t mean you should go into a session with a bad mood. Life gets in the way sometimes but you just have to make the best of a bad situation. 1) You gain knowledge and a better understanding of what nutrition is and what is considered a healthy diet in line with your goals. 2) You are creating your own diet. You might be adding food or removing food from your diet to stay in line with your calories and macronutrients. This can bring a willingness to stick to your own diet. 3) Habits are created from calorie counting. You can review what a good day/bad day is and how you can address the situation to have more good days than bad days. You may also spot patterns in behaviour e.g. Thursdays are always a bad day because you work late… solution is to prep food for the evening. 4) You will be more aware of what is in your food. Before buying food you should be checking the label. When you scan the item you should be able to easily read all the relative information and be able to make an educated decision on whether or not to eat it. 5) You will understand that with little effort it is not difficult to eat well. You will realise that the term healthy eating is very vague and you have endless possibilities to improve your diet. Want to start your fitness journey?